Posted December 3rd, 2018 by Jason Mello. 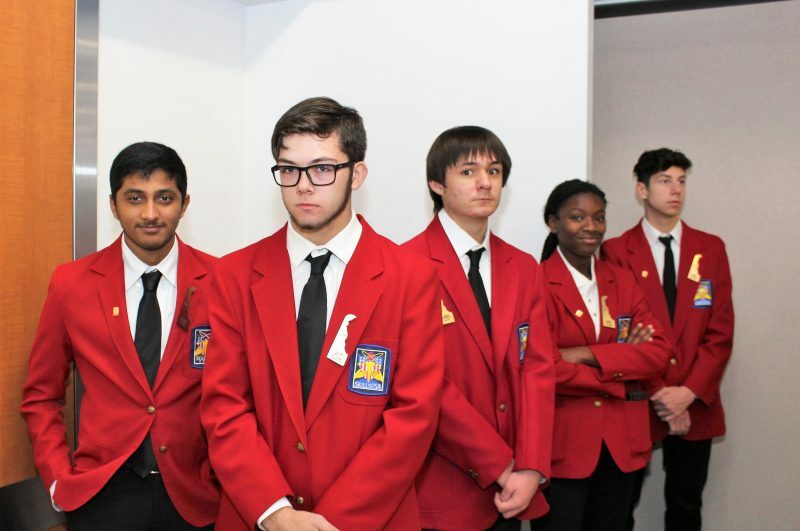 The State Officers from Delaware SkillsUSA in collaboration with officers from Business Professionals of America, DECA, Educator’s Rising, Family Career and Community Leaders of America, HOSA, and Technology Student Association hosted the annual Fall Leadership Conference (FLC) at Delaware Technical Community College on November 29-30, 2018. The FLC was sponsored by the Delaware Department of Education, Delaware Advisory Council on Career and Technical Education, and Delaware Technical Community College with 982 participants representing 126 chapters from 55 schools who participated in a series of workshops that emphasized the importance of teamwork, leadership and service through Career and Technical Education. The annual service project collected 396 toys; 221 books; 49 stuffed animals; 48 arts supplies/kits; 20 book bags and $325 in checks for a grand total of more than $7,665 donated to Delaware Toys for Tots.